I forgot how easy it is to make pancakes. I used to eat and make them weekly as a child and with time I really got bored of them. The thing is that we had lots of chickens at home and this meant lots of eggs! My mum had to do something with those cracked eggs, meaning she used to make pancakes every week. These pancakes were made out of white flour, milk and white sugar. The recipe was very simple, but not very healthy. 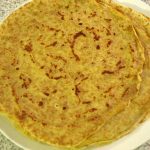 I made lots of pancakes as a child, flipping them in the air and I used to stand a long time making them for our big family of 5. I haven’t made pancakes in years with all the healthy eating in mind and feeling that they are not very healthy. Actually, I just forgot how easy it was to make pancakes and you can make a healthier version of them too. 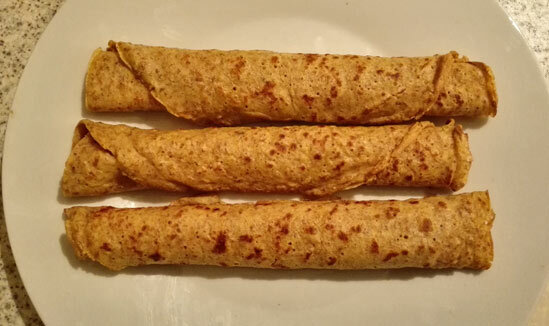 And it doesn’t have to be a Pancake day to eat them! I created my own recipe – a healthier version of what we used to eat as children. 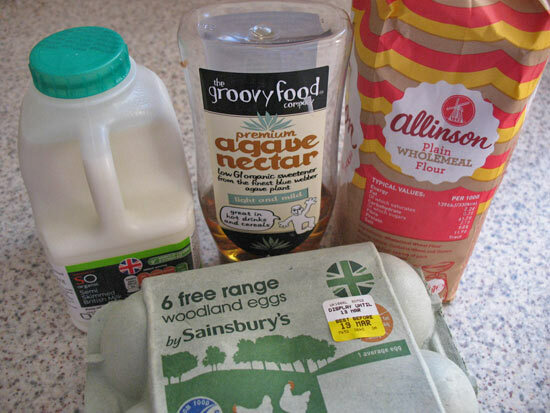 The main change was replacing white flour with wholemeal flour and using agave nectar instead of sugar. But you don’t have to use agave nectar, instead you can use some honey or date syrup. To reduce the calories even further use xylitol (natural sweetener). 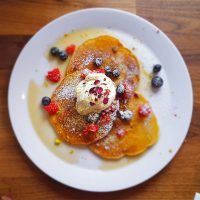 Can pancakes really be healthy though? I think they are as healthy as the filling or sauce you put on them. However, using a wholemeal flour is still much better than using a white one as it gives you much more fibre and vitamins. Add 3 eggs into a mixing bowl. Add milk and whisk all together. 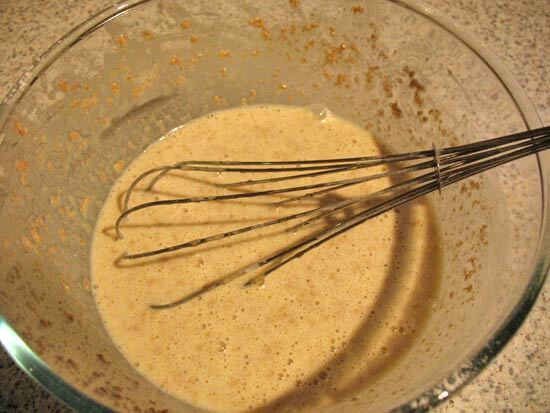 Slowly add wholemeal flour while constantly whisking the mixture. Melt the butter and add to the mix while whisking. Add vanilla flavouring and agave nectar and mix very well to get a smooth texture. 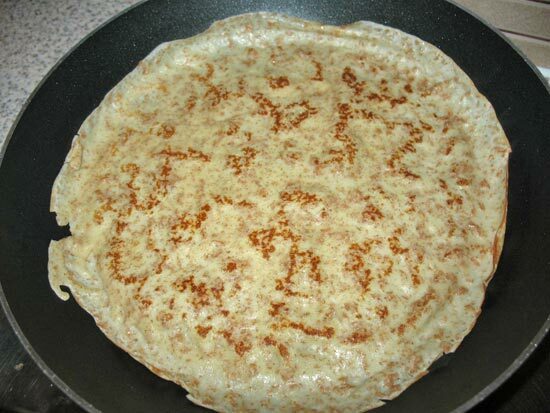 Heat up a non-stick frying pan (3/4 of a heat) and make pancakes one after another until you run out of mixture. You could use oat or almond milk if you cannot digest normal milk. Make it healthier by using reduced sugar jam or cooked apples. You can make it savoury by adding some salt and leaving agave nectar out. Experiment with thickness of the mix by adding more flour or more milk and see what kind of thickness works best for you. 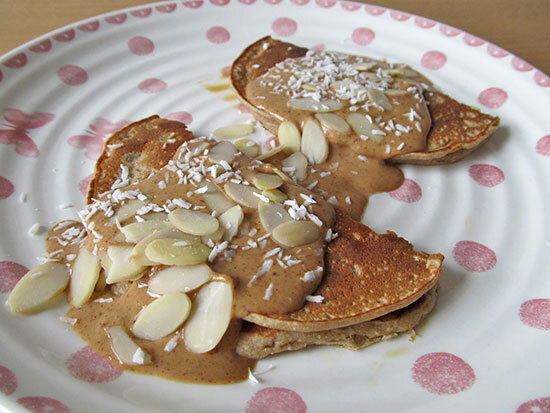 How do you make your pancakes healthier? Have you tried using wholemeal flour before? Looks delicious. Just make it nutritious and top it off with honey, instead of syrup! And any honey will do, as long as it’s not from a grocery store!